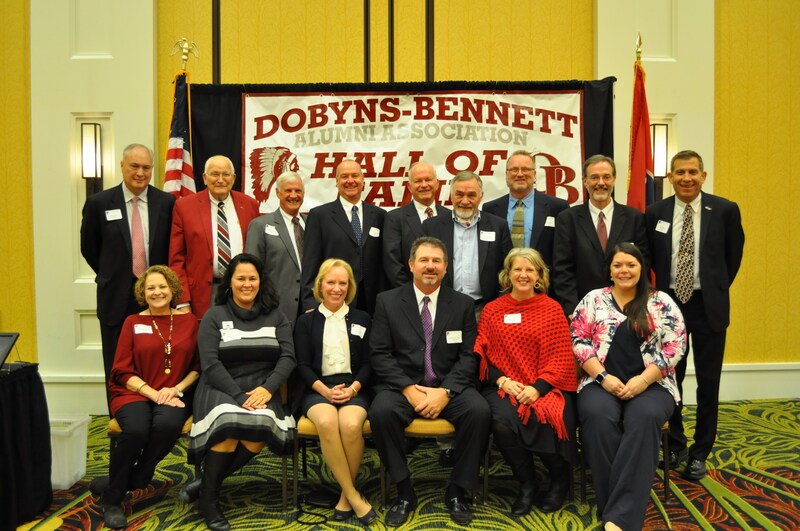 ﻿Photos from the 2017 Induction Ceremony! 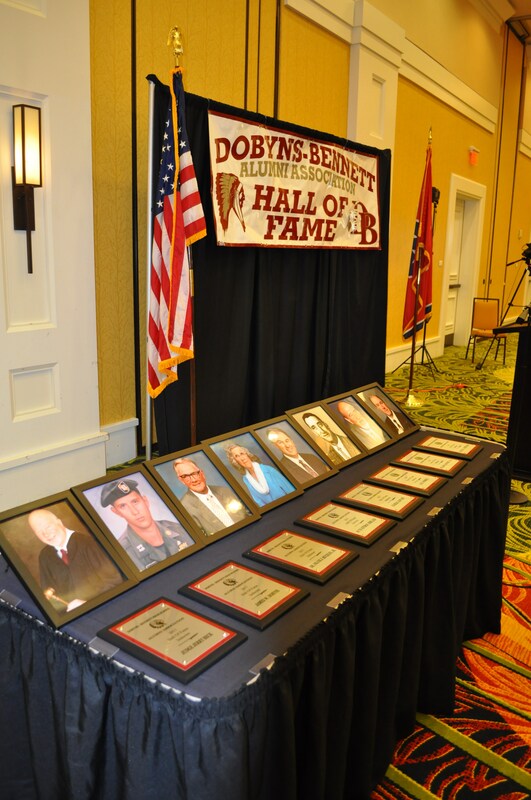 During high school, Judge Beck was a starter on the 1959 and 1960 Tennessee State High School State Championship football teams. He was a sprinter and letterman on the track team. After graduating from D-B, he attended and graduated from Emory and Henry College with a B.A. degree in Liberal Arts with a emphasis in History and Classical Language. During his time at Emory and Henry, he was three year letterman on the football team including the undefeated 1962 squad. Judge Beck attended law school at Emory University for one year and went on to receive a Doctorate of Jurisprudence from the George Taylor School of Law at the University of Tennessee, Knoxville. He also completed post-graduate course work in the area of Criminology and Criminal Justice at East Tennessee State University. Judge Beck was elected to the Gamma Beta Phi Society for outstanding scholastic achievement and Phi Gamma Mu International Honor Society in social science. Judge Beck was originally issued his commission and appointed to the bench on July 19, 1993 by Gov. Ned McWherter, following the tragic death of the Honorable George H. Garrett. Judge Beck was subsequently elected to the office by the citizens of Sullivan County until his retirement in 2017. During his tenure in office, Judge Beck was required to address thousands of cases involving multifaceted issues including death penalty litigation, divorce and family law, class actions, workers compensation, personal injury, freedom of the press, and many more types of cases. Judge Beck’s office was unique in that the duties included sitting as a trial judge in the Criminal, Chancery, and Law Courts. This is the only judgeship in Sullivan County that required work in all 3 areas of the law. Judge Beck retired from the office of Circuit Court Judge, Part II, for Sullivan County, Tennessee on June 30, 2017. Prior to Judge Beck’s appointment to the bench, he served as an Assistant District Attorney for 20 years. During this time, he disposed of thousands of criminal cases and was an associate member of the National District Attorney’s Association. He also served as a member of the Certified Fraud Examiners Association. He was a frequent guest lecturer at training programs conducted for police and sheriff departments in various counties and including Sullivan County. Judge Beck was a member of the Kingsport Bar Association, the Tennessee Judicial Conference and served on the Tennessee Pattern Jury Instruction-Criminal Committee for 24 years. 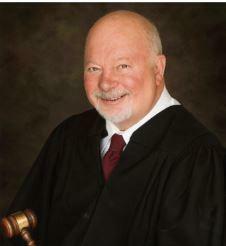 He also served as presiding judge for Sullivan County by election of his fellow judges. He served in the Kingsport Rotary Club, is a member of Lodge No. 688, a 32 Scottish Rite Mason, and is a Jericho Shriner. In the past, he has donated his time to youth activities as a Cub Scout Leader, little league football coach, and many more activities in the Indian Springs community. Judge Beck has also served on the Alumni Board of Emory and Henry College. Judge Beck has been married for 47 years to his wife, Louise Bundy Beck and they are the parents of two grown children, Robyn Dieter, Ph.D and Gabe Beck who is a C.P.A. He is a life long Methodist and member of Mountain View United Methodist Church. 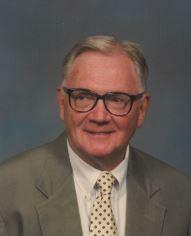 Dr. Frank J. Buckles, Jr., D.D.S. 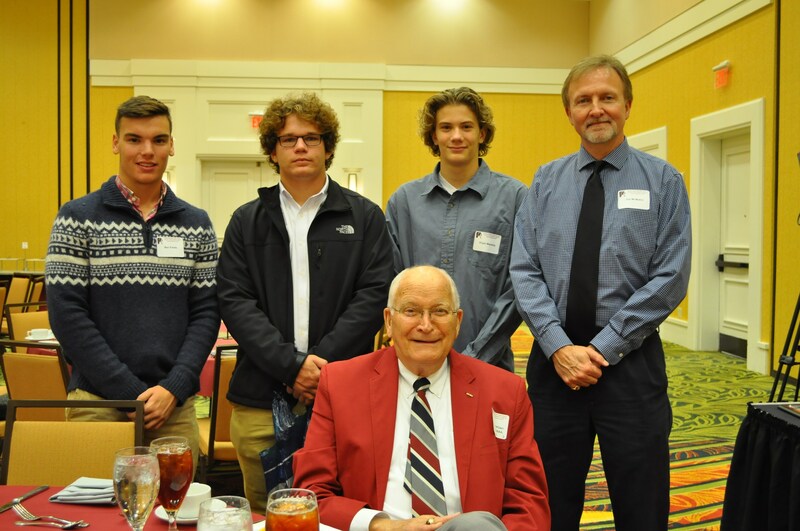 During high school, Dr. Buckles played football and in an interview with the Kingsport Times-News was named the “Sophomore Sensation” by his coach. He loved to reminisce and tell stories about his time as an Indian and remained a devoted D-B fan for life. He also ran track and hurdles. Dr. Buckles was in the National Honor Society and President of his senior class. He was drafted into the Navy during his senior year of high school and served in WWII. He was stationed in San Diego, the Marianas Islands, and in Saipan. He was on Saipan when the atomic bomb was dropped on Japan. After returning from military service, he attended and graduated from the University of Richmond and went on to graduate from the University of Tennessee Dental School with a Doctor of Dental Surgery degree. After graduation, he returned to Kingsport to start his Dental Practice and practiced for 35 years. He was a lifetime member of the American Dental Association, the American Endodontist Association and Southern Endodontist Study Group, Tennessee Dental Society, and First District Dental Society. He served as President of the Kingsport Dental Society and was a member of the Dr. L.D. Panky Study Group. Dr. Buckles was the first in our area to limit his practice to Endodontistry. He also served on staff at Indian Path Medical Center and served the community at the Holston Valley Dental Clinic. 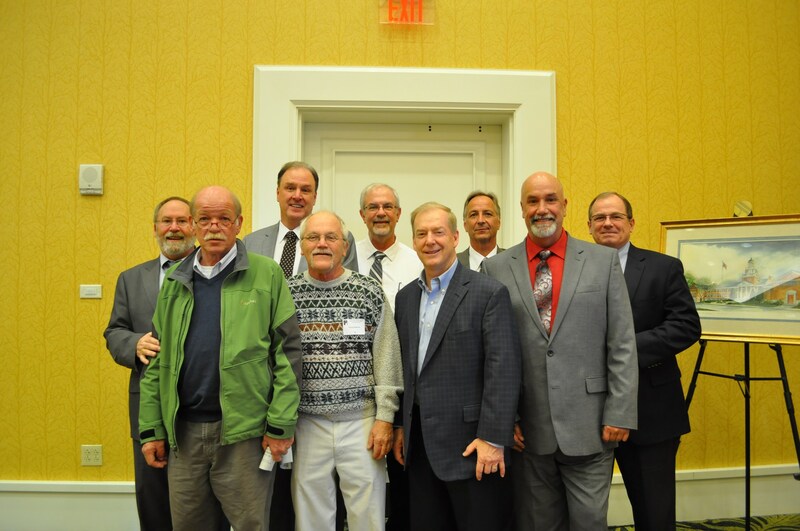 Dr. Buckles worked with other area dentists to bring fluoridation to Kingsport’s water supply in 1954 to help reduce dental decay. Dr. Buckles purchased a farm and raised animals such as Black Angus cattle and sheep. He shared his enjoyment of raising sheep with the Exchange Place by providing sheep to be sheared during public events. He also raised horses sired by Secretariat who raced at Keeneland and other tracks in Kentucky. He built and stocked a fishing pond that provided many loved ones an opportunity to share the sport of fishing. He was named Conservation Farmer of the Year by the Sullivan County Soil and Water Conservation District in recognition of farmers who actively incorporate and practice conservation of the land. Later in his life, he began a second career as a landowner in Woodruff County, Arkansas. He was successful in acquiring, improving, and managing farms. He believed in improving the land by adding pumps for irrigation, precision leveling land for better crop production and practicing soil conservation. He worked closely with the Agricultural Stabilization and Conservation Service office in Augusta, Arkansas on programs concerning farm products and agricultural conservation. He grew crops such as rice, wheat, soybeans, and milo. He also had duck blinds built and worked to improve quail habitats. 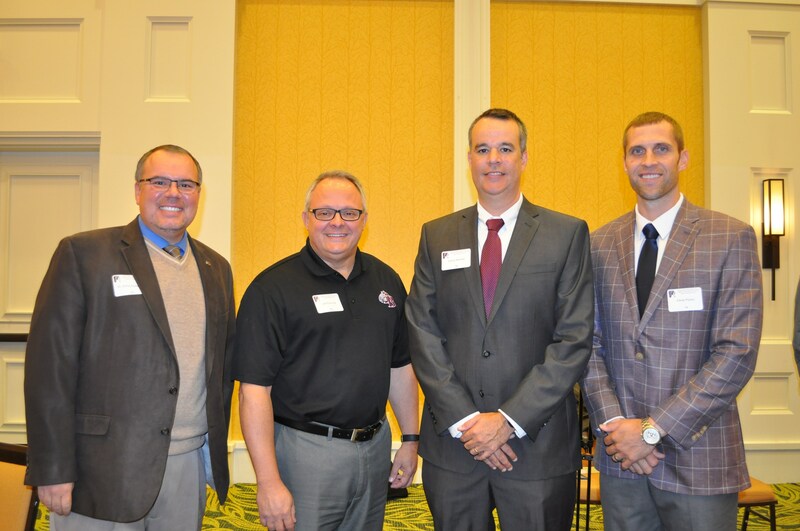 Dr. Buckles was proud to volunteer his time in the community and especially proud of his work with the Kingsport Boys and Girls Club. He served as President of the Board of Directors and was honored to win the Man and Boy award and later was named a Champion of Youth. He served as President of his Men’s Bible Class at First Broad Street United Methodist Church, the Salvation Army and Kingsport’s Mental Health Association where he worked to establish a community health center. He had a special fondness for supporting the Holston Home for Children in Greeneville, TN. Dr. Buckles married his wife Katherine in 1952 and was committed to his family. He was seen as a role model by his children who followed in his footsteps in many ways. LTC COL James “Jim” Wiley Dobyns was born in Kingsport and named after his great grandfather, James Wiley Dobyns, the first mayor of Kingsport and for whom Dobyns-Bennett was named. He excelled in football and was President of his junior class. He received a Bachelor of Arts degree in Transportation from the University of Tennessee and an MBA from East Tennessee State University. Jim was commissioned as a 2nd Lieutenant in the Army’s Transportation Corps. Jim was called from the reserves to active duty during the Berlin crisis and later joined the elite 1st Special Forces Group (Airborne). He served three tours of duty with the Green Berets in South Vietnam. In 1965, his team secured the base for an aviation unit in which two Dobyns-Bennett classmates, COL Bruce Wilder (1955) and Tommy Trent (1949) were assigned. Later, when ambushed by the Viet Cong, one of his soldiers was critically wounded and Jim braved enemy fire to rescue the wounded soldier, who could not have survived the Medivac flight without a blood transfusion. Jim willingly became that donor and saved his life! He was offered the Purple Heart, but refused it because he was not wounded in combat. For his action in combat that night, Jim received the Silver Star Medal. During his three tours, he also received three Bronze Star Medals, the Air Medal for valor, three Army Commendation Medals, the Vietnam Cross of Gallantry for heroism from the President of Vietnam. The Cross of Gallantry was presented to less than one percent of US Military Forces Officers. He also earned the right and privilege to wear the Combat Infantryman Badge. He was selected as Plans Officer for Military Assistance Command, Vietnam which was one of the highest levels of planning during the Vietnam War. Jim wore the “Green Beret” proudly! He was the epitome of the American Fighting Man! He served as an Assistant Professor of Military Science and Tactics at North Georgia Military College and was awarded outstanding instructor for three years. He was also awarded Outstanding Instructor for the Army Command and General Staff College in 1986. After the military, Jim returned to Kingsport as owner and manager of the Kingsport Livestock Market that had been in the Dobyns family since the early days of Kingsport. Jim was a long time member of the Chamber of Commerce. He was a 25 year member of the Kingsport Lions Club, serving in all offices as was a Melvin Jones Fellow. He served in various areas at First Broad Street United Methodist Church. 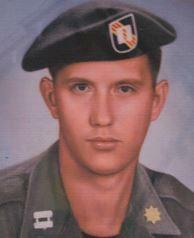 Jim was inducted into the Soldier for Life program in 2002. In 2016, he was honored by the Kingsport Boys and Girls Club as their Military Hero of the year. Dr. Ruth Ketron, R.D.S., Ed.D. Dr. Ketron worked during her junior and senior year of high school on Fridays and Saturdays at Dr. Barker’s dental office as a dental assistant. She loved it and wanted to pursue it professionally, but lacked the education. Even though she received a college scholarship after graduating D-B, her parents could not afford for her to stay on campus so she got a job at Mead Corp. and married Carl “Horton” Ketron in 1949. The couple lived in Kingsport and had two daughters. She stayed home with her children and occasionally filled in as a dental assistant. Talking one day with Dr. Allen Palmer, he informed Dr. Ketron that the new Dental Hygiene program at ETSU was beginning and asked if she was interested. The very next day she applied to the program and was accepted. In 1971, she received her degree in Dental Hygiene and B.S. in Health Education. Dr. Ketron worked full-time in Dr. Palmer’s office after graduation and immediately began pursuing her master’s degree. 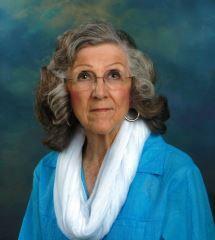 She received that degree in 1972 and began working at ETSU in the Dental Hygiene department as a faculty member. She started as an assistant professor but worked her way up to a professor. Later, she assumed the role of Assistant Director at the Quillen College of Medicine’s Center for Geriatrics and Gerontology (CGG). Her work at the center afforded her opportunities to present abstracts on dental/dental hygiene topics at professional conferences, meet/network with other individuals, cooperate with community leaders, and work with the staff members of the CGG to further their goals. She took every opportunity to make others aware of the role of the dental hygienist and to impact their understanding of how important teeth are in the process of daily living. Dr. Ketron feels her role as an Interim Chairperson at the Dental Hygiene department was to continue to strive for and attain program excellence, foster learning, maintain academic standards, hire/evaluate faculty and to encourage the dental hygiene students to excel academically while developing into ethical and responsible professionals. She has presented abstracts both nationally and internationally including England, South America and Canada. Upon her retirement in 1995, she was honored with Professor Emeritus status. Dr. Ketron also received an Ed.D. in Education & Health from the University of Tennessee, Knoxville. In 2003, she received a certificate in Biblical Studies from Graham Bible College and returned to ETSU to complete classwork for a gradate certificate in Gerontology in 2004. She has been a member of the American Dental Hygienists Association since she was a student serving in offices at the local, state, and national level. In 2003, she received a Pfizer/ADHA Award of Excellence spotlighting her outstanding accomplishments that impact the practice and future of the dental hygiene profession. Dr. Ketron is a U.S. Track & Field National Champion 5K Race Walker. In 2016, she set running records, at the age of 86, for the TN 1-mile, 2-mile, 5K, 4-mile, 8K and 10K distances. She has five gold medals and two silver medals for track and field in the 2013 Senior Olympics local district held in Johnson City. Her volunteer work includes being a chaplain at local hospitals, serving on Sullivan Co Medical Reserve Corps, helping with the dental needs of hospice patients, ETSU Board of Dental Hygiene, Holston Conference Methodist Youth, lay speaker in the Methodist Church and teaching Sunday School to name a few. Dr. Ketron also received ETSU National Alumni Association Award of Honor in 2014 and ETSU College of Clinical & Rehabilitation Health Science Hall of Fame in 2015. Charlie was born in Bulls Gap, TN on May 6, 1940. His baseball potential came to light as a 15-year old American Legion player with Kingsport. He hit two home runs out of spacious Shaw Stadium. Shaw Stadium was the home park of the Bristol Twins and no professional player had hit two home runs in one game that season. He also hit a long home run across Center St. at J. Fred Johnson Stadium that increased the baseball scouts’ interests. Charlie went on to help guide D-B’s baseball team to the 1957 state championship. He was voted all-conference four times. He led the team with a .420 average as a junior and a .430 average as a senior. Fourteen Major League teams showed an interest in Charlie with five clubs bidding for his services. He signed with the Pittsburgh Pirates for a $25,000 bonus on July 4, 1958. As a 2-time all stater, Charlie’s basketball heroics were well documented. He helped lead the 1957 Indians to the finals where they lost to Linden. He scored 50 points against Rogersville in 1958, a school record that stood for 26 years. 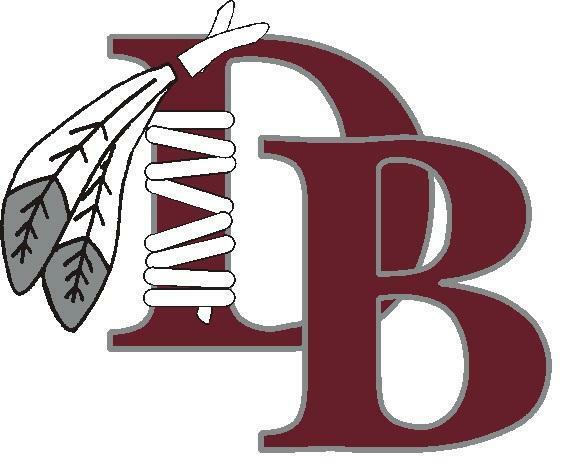 Two weeks later, D-B scored 109 points against Roanoke Jefferson and Charlie scored 42 of those points! He had 297 assists for the 1958 season, a record that still stands. Charlie could have gone to Wake Forest on a basketball scholarship, but opted to play professional baseball instead. He played that summer in Wigwam Wisemen All-American high school basketball games in Kansas and Indiana and was selected as one of the top 5 players. Charlie was selected to All-State Tournament in both baseball and basketball in 1957. Charlie worked for Eastman Chemical Company until 1996 and then retired. Charlie worked another 12 years for a book company, calling on schools and businesses. He is most pleased with the donation of several thousand dollars each to Holston United Methodist Home for Children in Greeneville, TN, CASA for Kids, Inc. in Kingsport, and Safe House for abused women and children in Kingsport over a 10-year period. Charlie and his wife, Jackie reside in the Kingsport area. Cecil attended Dobyns-Bennett from 1945 to 1949. He was on the 1945 basketball team that won the state championship. He also played on the 1947 football team that was not scored on and won the state championship. He played on the 1948 football team that won another state championship. 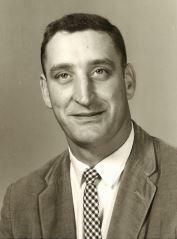 In 1948, he was voted All-East Tennessee and All-Big Five Conference in football. Cecil also played baseball and ran track all four years at D-B. Cecil was recruited by Coach Bobby Dodd and played football on an athletic scholarship at Georgia Tech. Following an injury, he transferred and finished his education and football career at East Tennessee State University. Cecil received his degree in Education and was captain of the football team. Cecil served in the United States Army during the Korean conflict and was a Golden Gloves Boxing Champion. Cecil was a retired teacher with the Wise County school system with 35 years service. He taught math and science and retired in 1989. He served as Head Football Coach at Powell Valley High School in Big Stone Gap, VA from 1967 to 1976. Cecil had 53 wins, 41 losses, and 5 ties. He was also the Golf Coach at Powell Valley from 1968 to 1986 where his teams won 15 district and 15 regional championships including being Virginia High School State Champions in 1973, 1982, and 1984. His teams finished as state runner up in 1972, 1983 and 1986. Cecil also assisted in coaching track, basketball, and baseball at Powell Valley. In 2009, Cecil was voted into the Virginia High School Hall of Fame. Dr. William H. McHorris, B.S., D.D.S., F.A.C.D., F.I.C.D. Dr. William H. McHorris graduated from the University of Louisiana, Lafayette LA with a Bachelor of Science in 1961 and then from the University of Tennessee, College of Dentistry in 1964, where he received the International College of Dentistry award for Top Scholastic Achievement. He was president of his class, graduated first in his class, and was elected to both the Omicron Kappa Upsilon (OKU) National Dental Honor Society and the Richard Doggett Dean and Marguerite Taylor Dean Honorary Odontological Society. He is an active member of numerous dental organizations, including the Memphis Dental Association, the Tennessee Dental Association, the American Dental Association, the American Academy of Restorative Dentistry and the International Academy of Gnathology. He is a fellow of the American College of Dentists and the International College of Dentists. 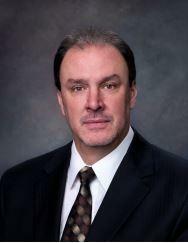 He is past President of the American Academy of Restorative Dentistry and the International Academy of Gnathology. Dr. McHorris lectures extensively on occlusal concepts, occlusal waxing procedures, extensive restorative procedures and treatments of TMJ disorders. He has published numerous articles on these subjects which are in booklet form as a “Compilation of Papers.” He is chairman of the committee that formulated a “Glossary of Occlusal Terms” for the International Academy of Gnathology. Dr. McHorris has authored a teaching manual on occlusal concepts and occlusal waxing procedures that is currently in use at the dental schools in the United States and abroad. He was editor for the Occlusion and TMJ section of the Scientific Investigation Committee Report for the American Academy of Restorative Dentistry in 1985 and 1986. This report is published annually in the Journal of Prosthetic Dentistry. Dr. McHorris has devoted a great deal of time to the research of anterior teeth and has published several articles dealing with anterior teeth and the correct anterior disclusive angle. 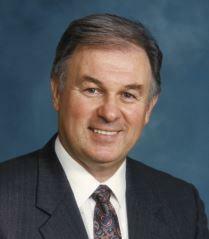 Dr. McHorris has directed over 60 study groups in the United States, Australia, South America, Japan, and Europe. He maintains an active practice in Memphis, TN. The treatment of TMD problems has occupied approximately 70 percent of his practice time for the last thirty-five years. He also works with medical groups in an attempt to coordinate medico-dental thinking in the recognition and treatment of TMJ disorders. Michael T. Strickland grew up in Kingsport and was one of three children of Thomas and Marion Strickland. In his youth, Michael played football, basketball, was an Eagle Scout, was twice president of his Junior Achievement companies and was an avid church member. In 1968, at age 12, while in junior high school, Michael started what would become his life long passion and his company, Bandit Lites. After graduation from Dobyns-Bennett, Michael moved the firm to Knoxville and began college at the University of Tennessee. 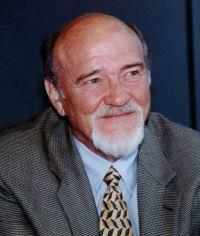 He obtained a Bachelor of Science in Business Administration and then attended the University of Tennessee Law School. The company continued throughout college and has existed ever since under Michael’s guidance and ownership. Bandit Lites has been named Lighting Company of the Year over 25 times. Through the years, artists such as Garth Brooks, The Monkees, Alice Cooper, Jimmy Buffett, ZZ Top, Van Halen, Alan Jackson, Pink, Carrie Underwood, Queen, Neil Young, Jason Aldean, REM, Widespread Panic, Barry Manilow, Toby Keith, Kenny Rogers, Def Leppard,One Republic, Prince, Alabama, Amy Grant, Ringo Starr, The Judds, Brooks and Dunn, The Moody Blues, Tim McGraw, Faith Hill, Blondie, Stevie Wonder, Boyz to Men, Frank Sinatra, Little Big Town and hundreds of others have worked with Michael and Bandit Lites for all of their lighting needs. Bandit Lites now has offices globally in Knoxville, Nashville, Charlotte, San Francisco, London, Hong Kong and Taiwan. In 1999, CNN USA Today named Michael as Entrepreneur of the Year and Mass Mutual awarded Bandit Lites the Blue Chip Award as one of America’s top companies. Michael’s awards include: East Tennessee, Nashville, and CNN USA Today Business Hall of Fame, East Tennessee Entrepreneur of the Year, Knoxville Chamber Pinnacle Business Excellence Award, UT College of Business Distinguished Alumni, UT Accomplished Alumni, UT Alumni Association Service Award, UT Development Council Service Award, Belmont University Robert E Mulloy Award of Excellence, Knoxville Mayors Award, Keys to the City of Kingsport, led Knoxville Chamber to National Chamber of the Year, Society of International Business Fellowship Award, Nashville Future 50 Company of the Year, Knoxville Future 50 Company of the Year, Knoxville Chamber Excel Award, Knoxville Family Friendly Company Award as well as being named the World’s Best Lighting Company 25 times. Michael has chaired and served on many Boards some of which include: Knoxville Chamber of Commerce Board of Directors, Leadership Knoxville & TN Advisory Board, UT Development Council, UT College of Business Giving Campaign, American Heart Association Heart Gala, Sertoma Friendship Diner, UT Medical Center Board, UT Chancellors Advisor, UT President Council, Women’s Basketball Hall of Fame Board, Bijiou Theater Board, Pellissippi State Foundation Board, Tennessee Film, Music & Entertainment Commission, Inaugural Class of Leadership Tennessee, Leadership Knoxville Graduate, Knoxville Homeless Taskforce, Junior Achievement Board and many others. Michael supports over 100 different charities annually. A large part of Michael’s time is now spent helping others through a number of different avenues. Michael has two children, Chase and Cole, who are the most special people in his life. Michael, the love of his life, Allison and the boys live in Knoxville. 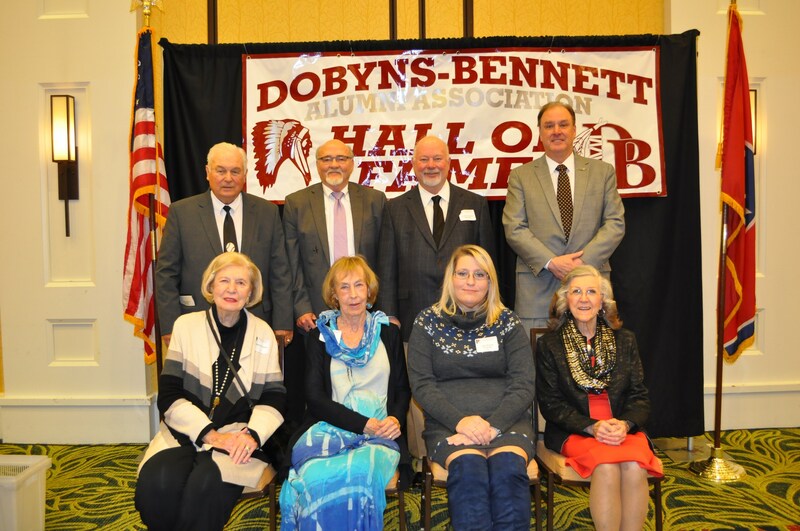 If you could not attend the 9th Annual Alumni Hall of Fame Induction Ceremony, you can listen to it here as recorded by 90.3 FM WCSK Radio - The Voice of Kingsport City Schools!